Atlanta Wall Edge are mounted at the intersection of two roof sheets, closing the roof to the wall, preventing water infiltration. 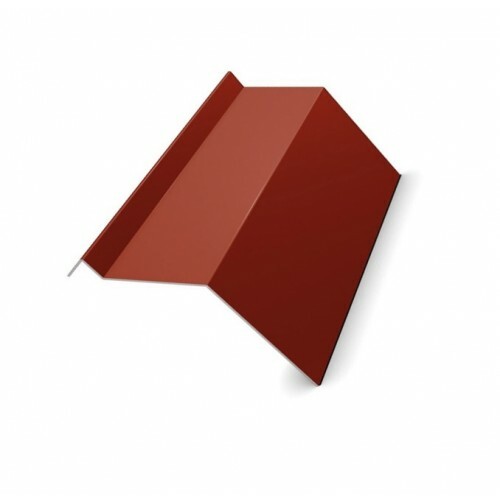 Atlanta Color Coated Steel Wall Edge provides a neat, maintenance free, lightweight and totally weatherproof finish to your roof. It is also a cost effective and labor saving solution to the traditional tile or slate ridge. 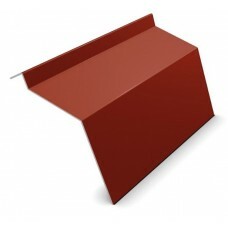 These are available for use with either slates, tiles and most roofing applications. 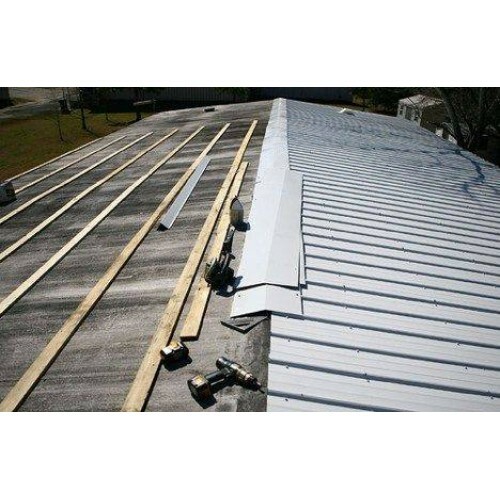 The additional elements are the most important details when installing the roof. Together, these elements protect the under-roof space from moisture and various kinds of pollution (dust, small street debris) and enhance the integrity of the roof. 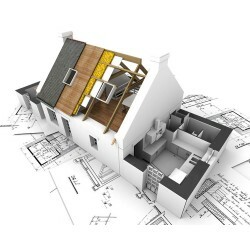 Also an important function is to provide a finished roof. The company “ATLANTA INDUSTRIAL" produces all the necessary accessories for installation, made of metal with the same polymer coating as the profiled sheet. Also, according to your special order, we will produce any additional elements of individual design. 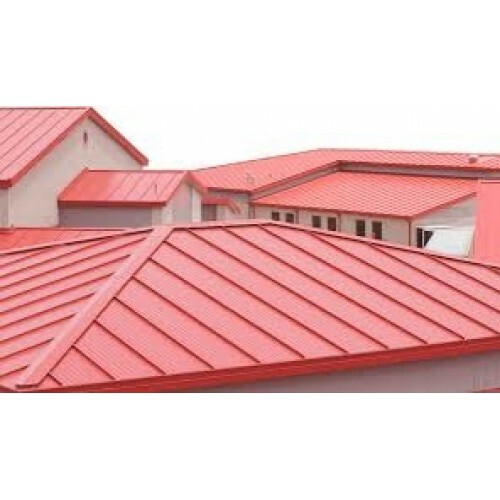 The composition of the polymer layer and its thickness determine the operational properties and appearance of the metal, its ability to preserve the original appearance and structural integrity of the roof as a whole. Requires careful handling during transport and installation. • Uncomplicated care and low price make the profile high in demand as a roofing material in both private and commercial construction. It is successfully used in private and industrial construction. Profiled sheeting, in addition to high performance features, has a beautiful appearance, and the ability to order a sheet of right size greatly facilitates its installation. The only thing is to observe the correct slope of the roof from the profiled sheet. Installation of a profiled sheet on the roof of a residential building is recommended to produce a slope of at least 12 degrees, and for industrial facilities, this slope is equal to 8 degrees. In addition, even 8 degrees is considered a certain convention, since the profiled sheet is also suitable for flat roofing. 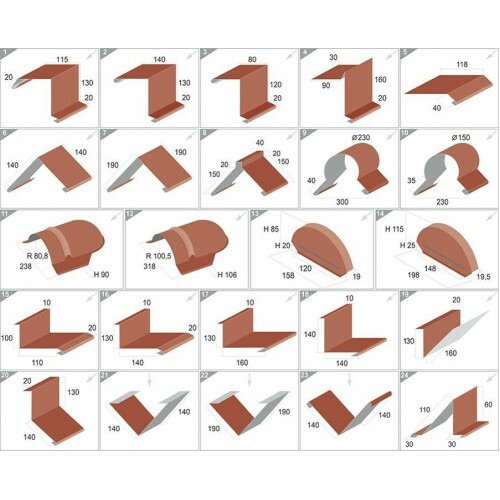 It is important to know that if the angle of the slope of the roofing structure decreases, it is necessary to increase the clearance for ventilation and also to fill the joints of the sheets with a special sealant . For fixing the corrugated board, use self-tapping screws with a sealing nozzle. For cutting sheets, use scissors for metal, and hacksaw with small teeth, electric shearing scissors or electric jigsaw. Cuts profiled with an abrasive wheel is strictly forbidden, because at the cutting site there will be a complete burnout of not only the polymer coating, but also zinc, which will lead to premature corrosion of the metal. After mounting the corrugated board, it is necessary to remove the metal shavings from the sheets using conventional detergents that do not contain organic solvents. In addition to the roof using profiled sheeting, fences and other building structures are installed. 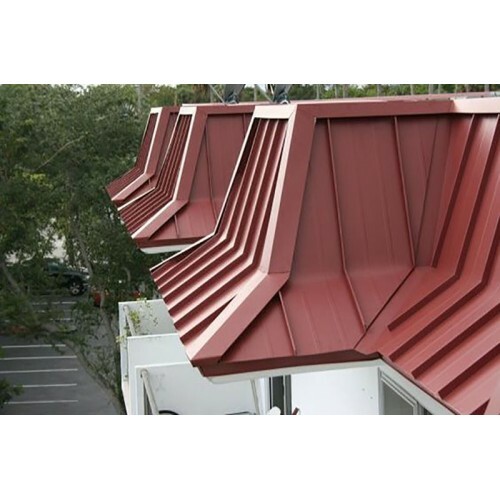 It is also possible to use roofing profiled sheeting and as a facing material for facades. 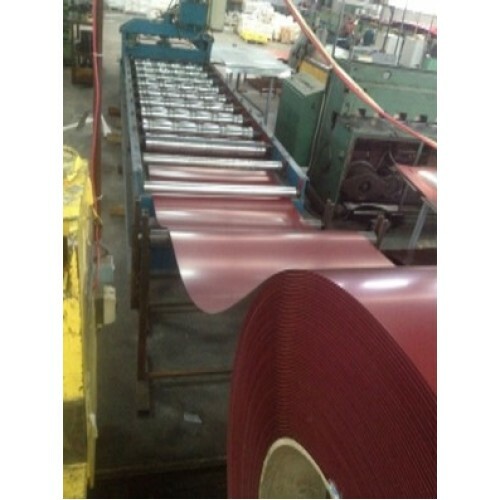 Our company has gained expertise in the production and supply of GI Profiled Sheet which have premium quality and long life. Fabricated by skilled experts employing modern techniques, these sheets have a huge demand within the market. In addition to this, they are available in a wide range of shapes, sizes and attractive colors. These sheets are coated with anti-wear material which protects them from corrosion and wear and tear . These Galvanized / Zinc Coated Steel Sheets have been extensively used by the construction industry all over the World for almost two centuries.